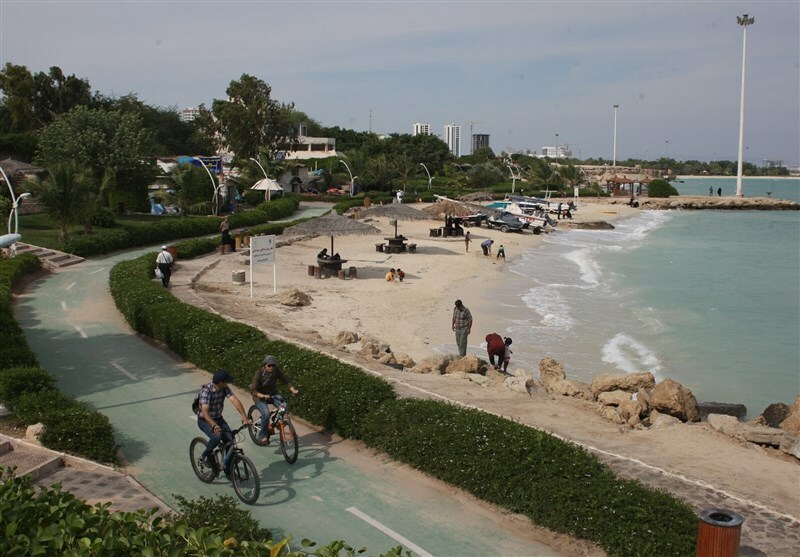 Kish Island is among the most beautiful islands and touristic resorts in the world located on the north east of the Persian Gulf about 17 km from the southern offshore of the mainland Iran. 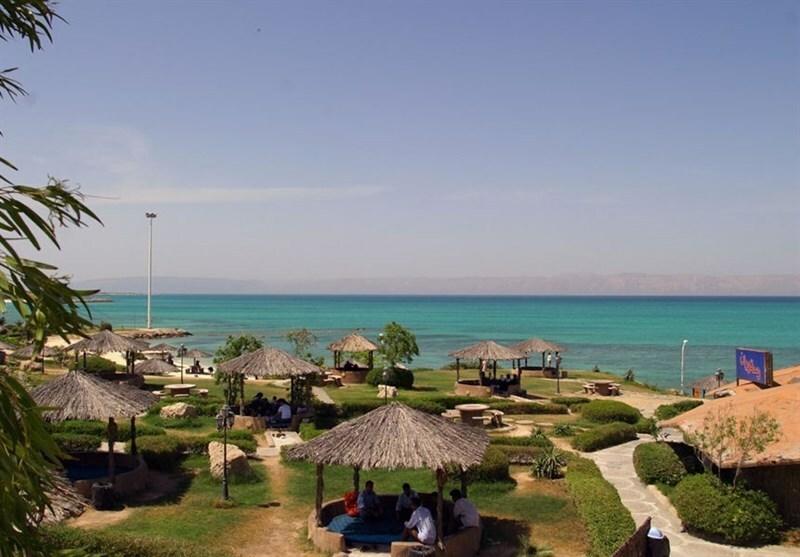 Kish Island, a free trade zone which is often called the Pearl of the Persian Gulf, has an area of 90 square kilometers and is known for being a beautiful resort in the Middle East and the Persian Gulf. The island has a variety of tourist attractions that would be of much interest to tourists from across the world. The coral beaches of Kish sparkle in the sunlight. This is something, which the sandy beaches of many resort areas around the world do not offer. The seawater near the beach is crystal clear and one can see the bottom of the sea up to a far distance. 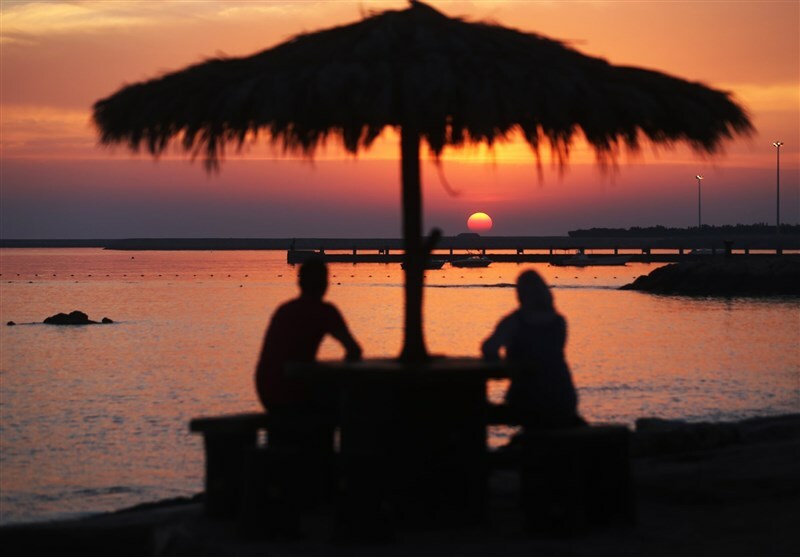 This is, surely, due to the corals around the island, which purify the water as well as relative to its area, Kish has one of the longest beach stretches. Unlike the crowded beaches elsewhere, the beach here is a relaxing and peaceful place. The fish and other marine life in the coastal waters of Kish are very unique. Visitors lose track of time when watching these species which are easily visible. The best quality edible fish is caught here. 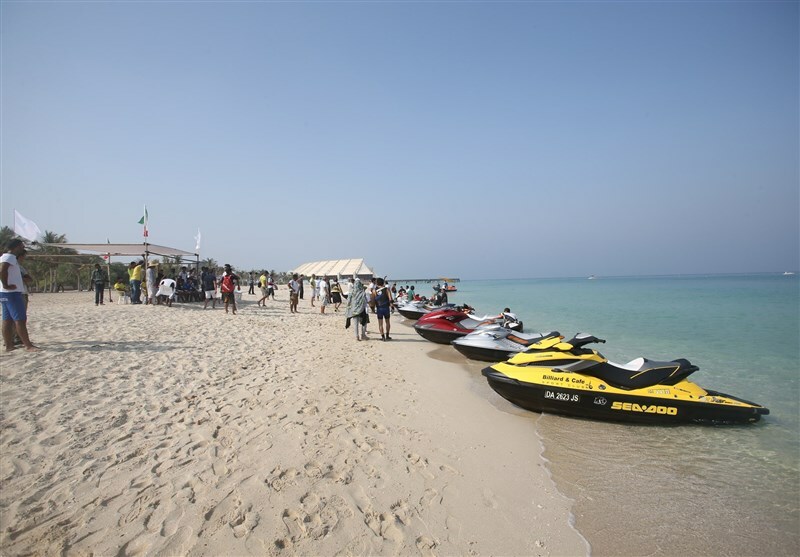 The coastal waters of Kish are among the safest in the world. There are no sharks and swimming is totally safe. You can have memorable time, enjoyable sunbathing in the beaches. Many years ago, for some unknown reason, a Greek cargo ship got close to Kish’s coasts and was stuck in the mud. 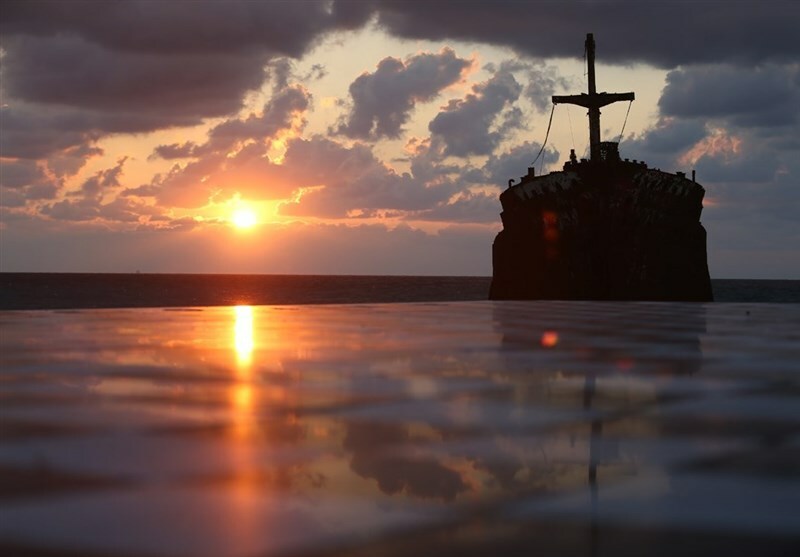 Watching the sunset beside this ship is fascinating and interesting. This situation created to rest near the ship is very popular with tourists. 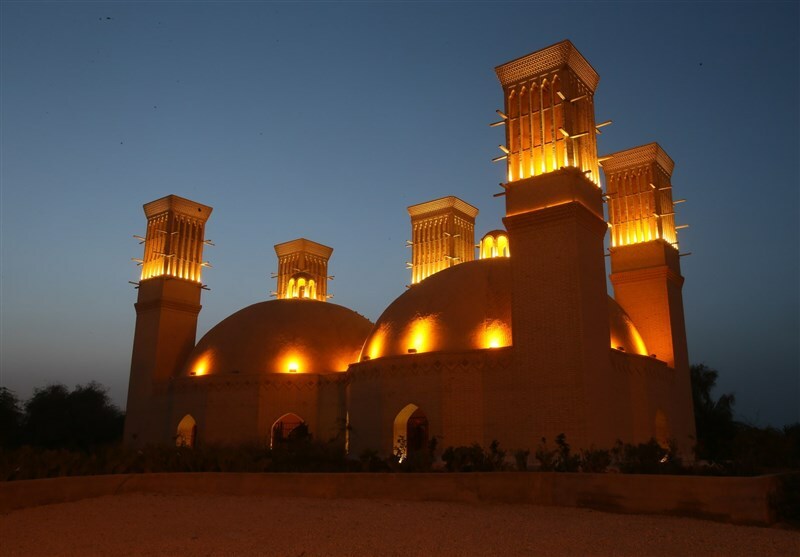 A Twin Water Reservoir with five wind catchers in the shape of Yazd city architecture was built within the boundary of Harireh Ancient City near The Aged Banyan (Lour) Tree Park in 1993 for collecting rainwater where an ancient water reservoir was located. This traditional water reservoir lost its main function due to the construction works in Kish which resulted in destruction of rainwater paths with passing time. In a big beautiful garden of 70 hectares, where very nice bougainvilleas are wrapped around palm trees, and green plants and colorful flowers present a different nature to the visitors, for the first time in the Middle East, sea mammals and penguins entertain the children and adults alike. 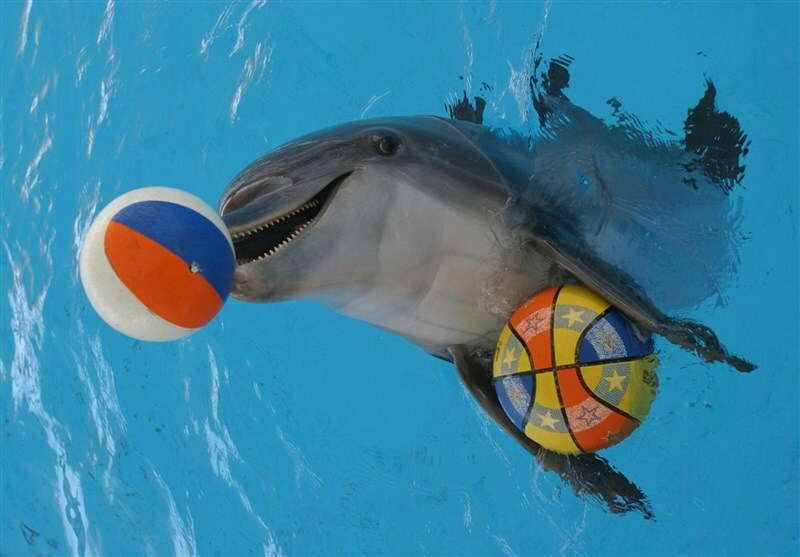 More than 20 dolphins, sea lions, sea cats, sea boars, and white whales jump, cruise forward and backward, clap, snore and throw balls in the largest manmade pool on Kish Island as well as the Bird Zoo, Underwater Aquarium, Orchid Garden, Cactus Garden, Silkworm House, and Erupting Volcano are other amusing sectors of the palm grove of the southeastern tip of Kish Island, which attract thousands daily. The visitors enjoy watching many different kind of birds from all over the world, especial and rare cactuses and orchids, the metamorphosis of silkworms and cruising of fish in their natural environments during the daytime, and the erupting of an artificial volcano at nights.